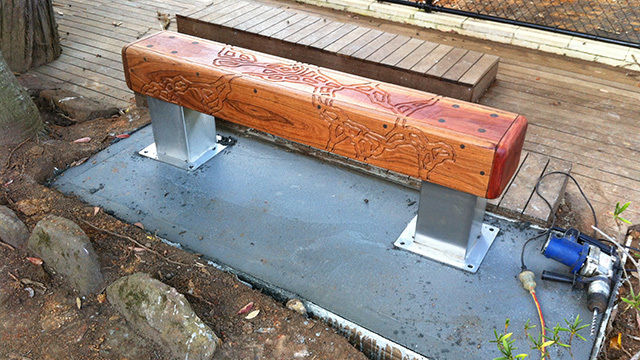 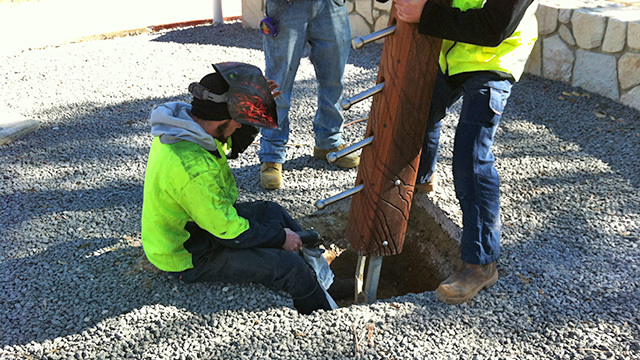 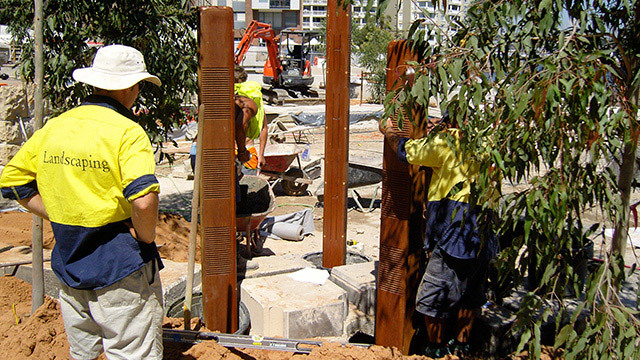 Generally, installation of sculptures for Parks are performed by their contracted builder. 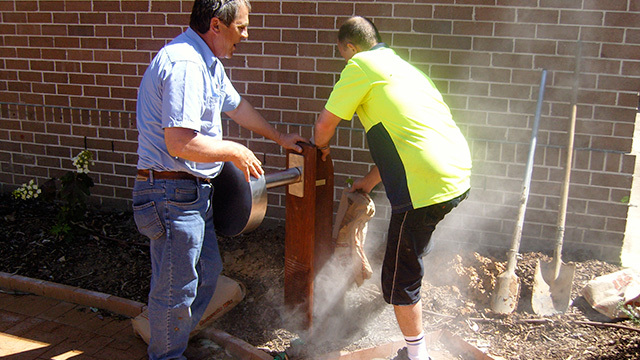 For Schools this can be managed by their maintenance staff, often assisted by working bee parents. 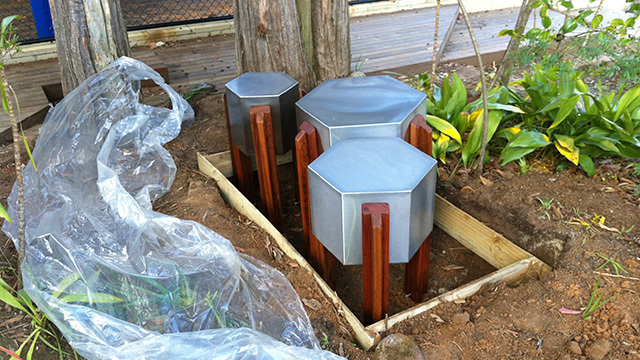 In any case, installing the Sound Sculptures is a fairly easy exercise as drawings and descriptions are provided. 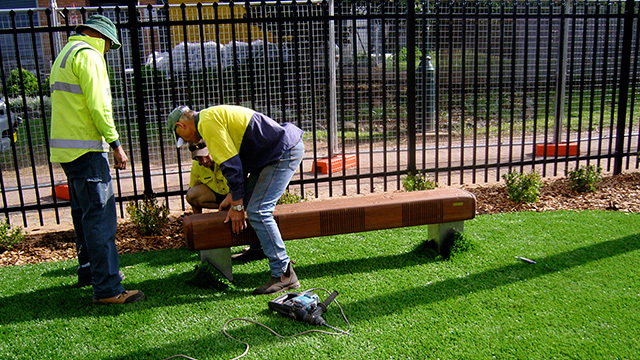 Supervision from Kim Bowman Music can be provided, if necessary, at an additional cost. 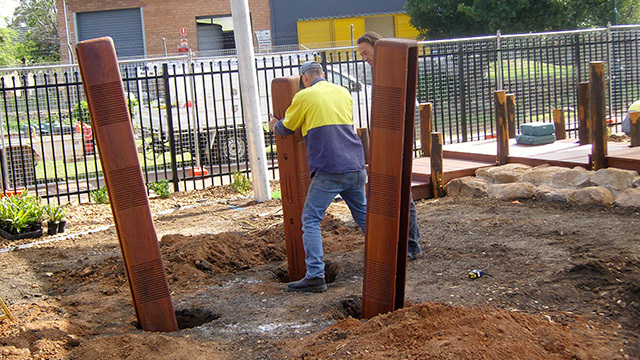 Many of the Sound Sculptures have been assessed and found compliant with the safety requirements clauses of AS4685.1. 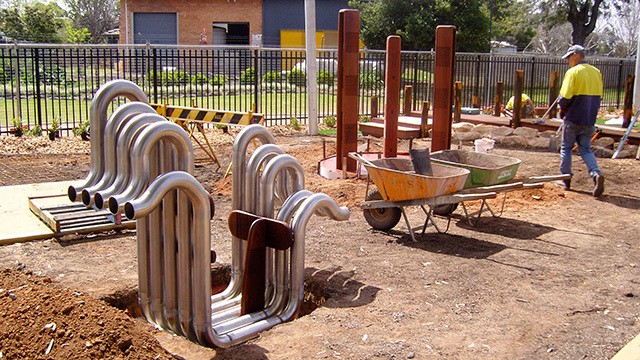 Whilst the Sculptures are not subject to Australian Standards, since they are not categorised as playground equipment but rather works of art, Kim Bowman Music is well acquainted with the Australian Standards of safety and the security they stand for regarding playground safety. 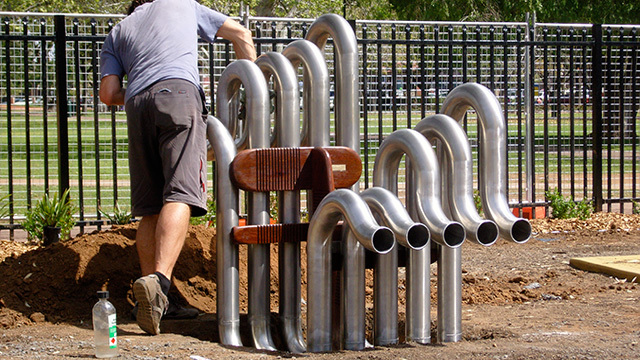 Consequently the Sculptures are constructed accordingly.